If you are a resident of Grey County, there are three ways to apply for Ontario Works assistance. If you have been on Ontario Works in the last 4 years you may complete an update online at grey.ca (Click the Link Below) and will be contacted within 24 hours with details of an appointment. If you have not been on Social Assistance in the last 4 years you are encouraged to apply online at www.ontario.ca/socialassistance. To speak to someone over the phone to complete 15-30 minute screening and follow up appointment, call 519-376-7112 ext 1117. Please note: this method may take longer to receive financial assistance. Please note that you must also bring this information with you to the verification interview.  Grey County has a location in Owen Sound, Markdale, Durham and Hanover that you may meet with a worker to complete your application for assistance. During this in-person interview, your eligibility will be confirmed and required forms will be completed. If you are not eligible for assistance you may be referred to other services such as Children's Services, Housing Services, Community Outreach or other services in our local community. People who are in crisis or unable to go through the screening process online or over the telephone will be able to access services at our local office. Ontario Works is an employment program which provides financial assistance to eligible individuals and families. The intent of the Ontario Works program is to help people in temporary financial need find sustainable employment and achieve self-reliance through the provision of effective, integrated employment services and financial assistance. Every person has the right to an application. Eligibility is determined by the person or family's individual financial (ie: assets and income) and employment (ie: training, lay off, etc.) circumstances. When an application has been approved, Ontario Works clients continue to receive financial assistance as they work toward their employment goals. The amount of assistance depends on the family size, composition and income. If an applicant is found ineligible for assistance or if a client disagrees with the amount of assistance provided, they have a right to appeal the decision. The applicant or client is advised of the decision and the reason for ineligibility in writing. Park in the parking lot beside the old Medical Centre; walk towards the back of the property towards the park. Unit 888 is located in the units facing north and south. Tuesdays - 8:30 a.m. to 3:30 p.m.
Thursdays - 9:15 a.m. to 4:30 p.m. Operate as a client-centered organization. Develop and promote community partnerships to broaden client opportunities. Communicate and problem solve in an open, constructive and timely manner. Promote dignity and independence through respect and mutual responsibility. Involve staff, clients and community effectively in the decision making process. Strive for consistency and fairness within our working relationships in a manner which is considerate of individual needs. Acknowledge and value innovation and contributions of all. Foster an environment of learning and development. Respect the need for work and life balance. Model excellence in public service. Advocate on behalf of clients who are least able to obtain supports on their own.